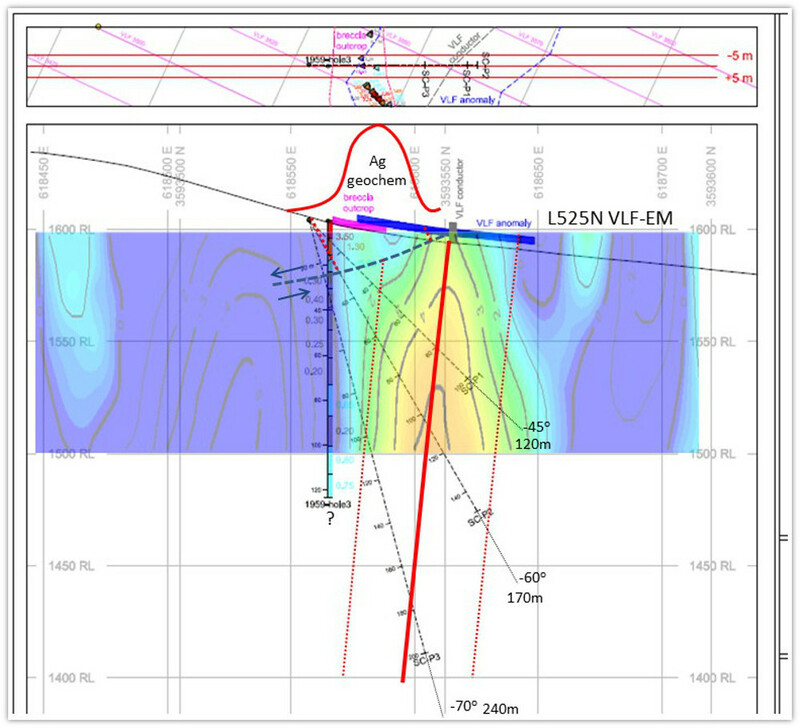 Values up to 15.45 gpt (0.45 opt) Au, and 396 gpt (11.55 opt) Ag, which was collected from a 1-metre wide channel in a prospect pit, from a total of 42 samples collected from within the silicified breccias. 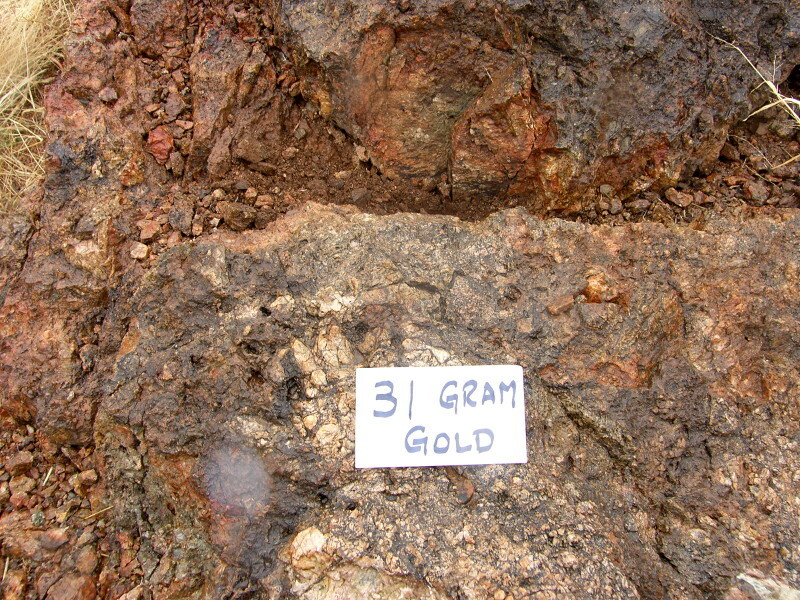 An average value of 0.893 gpt (0.025 opt) Au, and 82 gpt (2.34 opt) Ag, from these 42 samples. 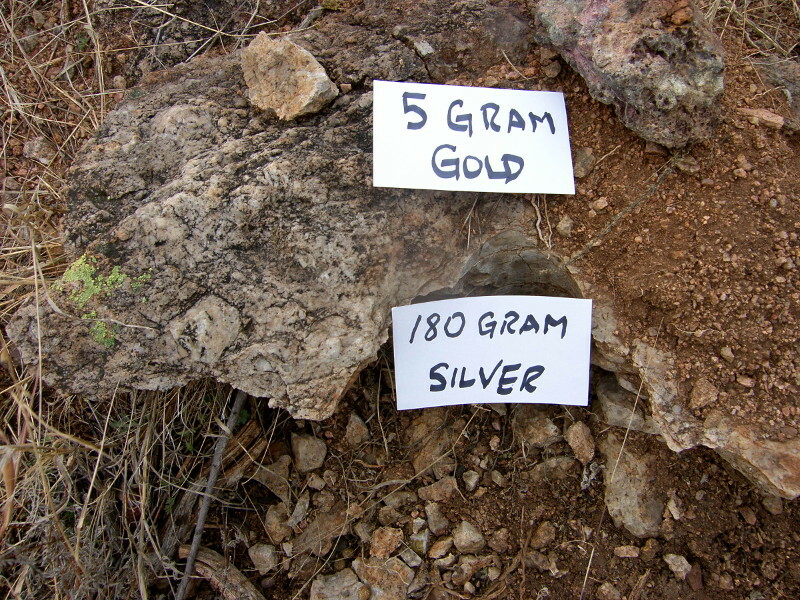 Highest gold and silver values occur at southern end of the outcrop area, where shallow alluvium covers the extension as it dips beneath cover. 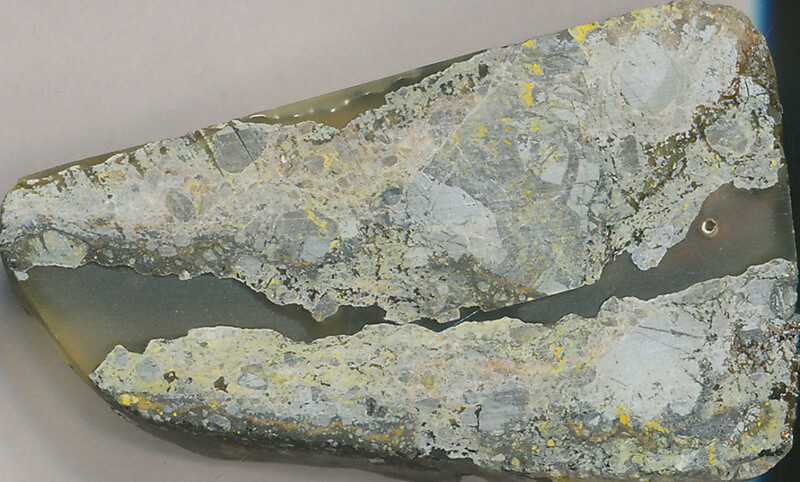 Previously released geophysical results suggest the mineralized breccia target continues for at least 200 metres south of the high-grade sample in the last outcrop. 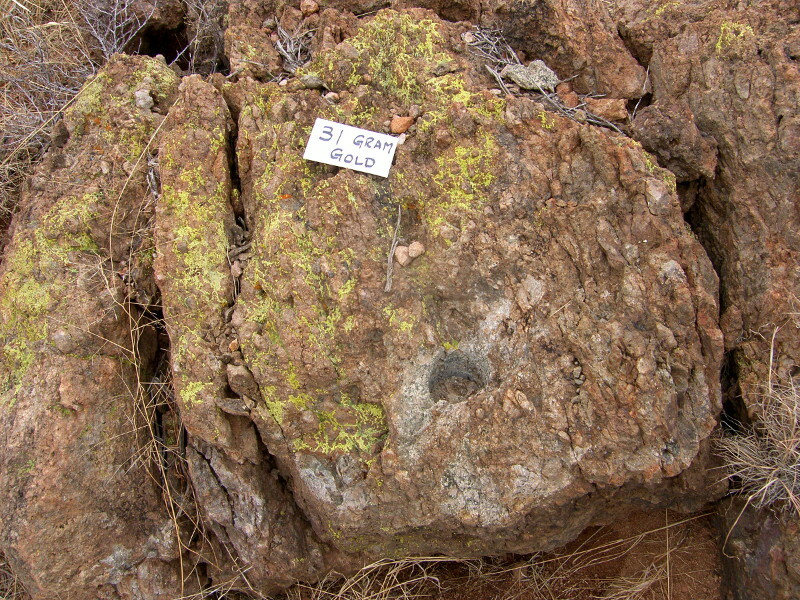 Sampling in silicified breccia demonstrates values up to 31 grams of gold. 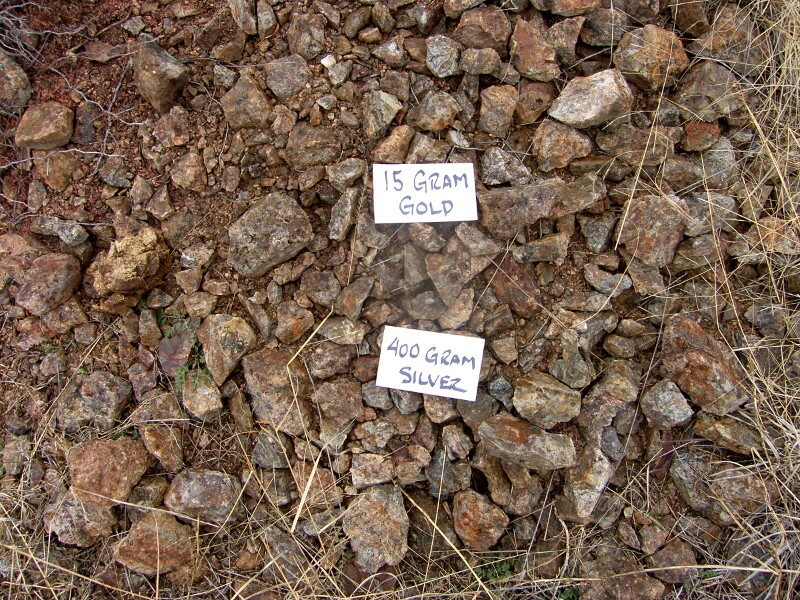 Southeastern end of the extent of outcrop, where the last samples collected contained between 1.34-3.02 gpt Au and 59.7 -208.4 gpt Ag. 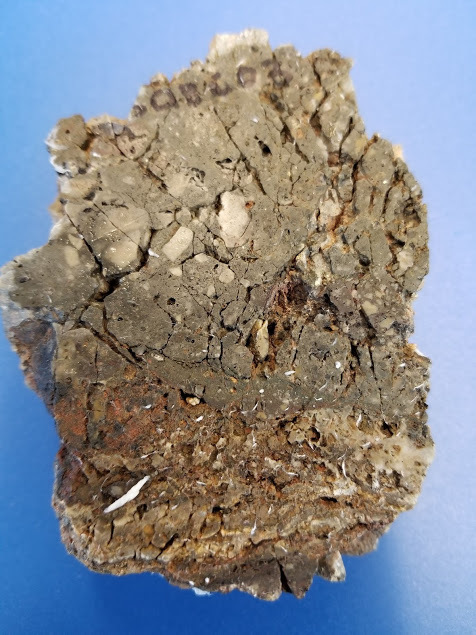 The property contains a prominent silicified breccia body that is over 600 meters long and between 20-80 meters wide and several smaller parallel banded silica veins. 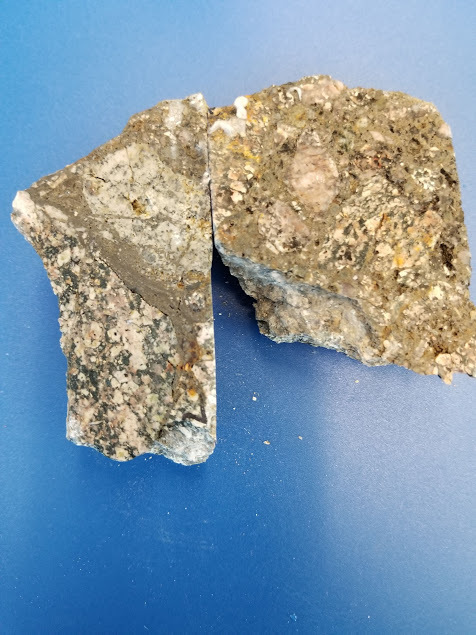 The Company has completed staking of an additional 27 unpatented lode mining claims surrounding the core group of leased claims, to protect possible extensions of the silicified breccia, both to the northwest and to the southeast, and to cover additional veins identified during property examination. 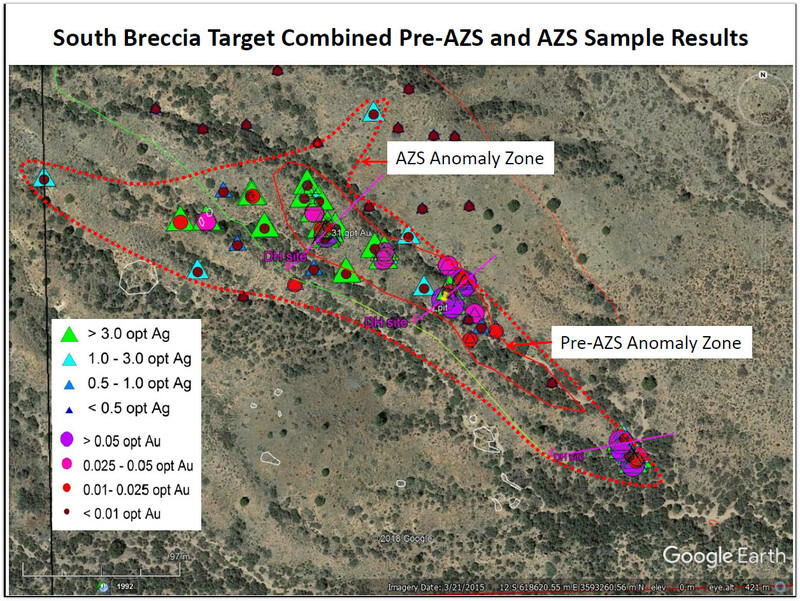 Historic samples from prospect pits not on main breccia zone contained up to 50% Pb and 74 opt Ag. 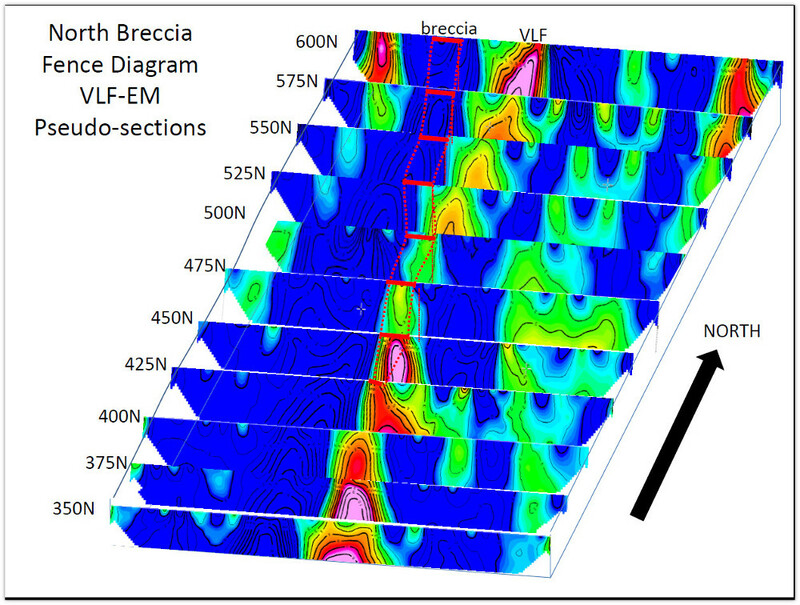 Strong vlf-em anomaly across main breccia. 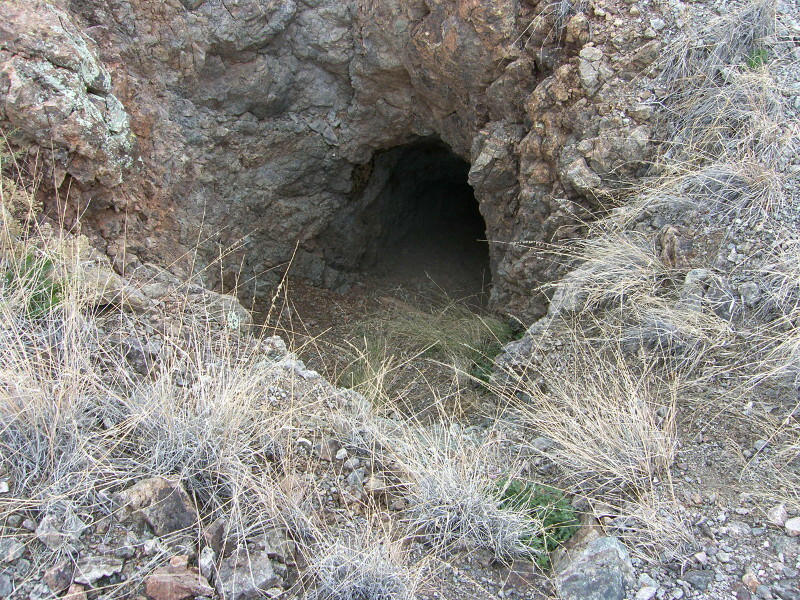 The property is 25 miles from Safford, a town that serves the large copper mines of Freeport McMoran, north of town. 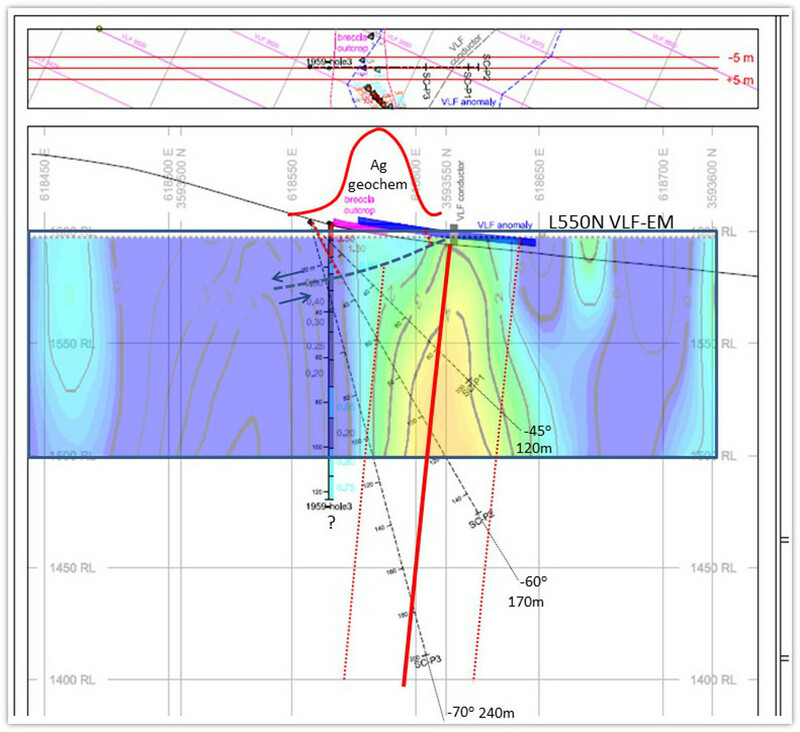 2018 Exploration Plan The Company is planning on commencing and completing a VLF-EM survey over the outcrop area of the silicified breccia and its possible strike extension to the northwest and southeast to characterize the geophysical expression of the breccia and to see if extensions can be found beyond its current map pattern. 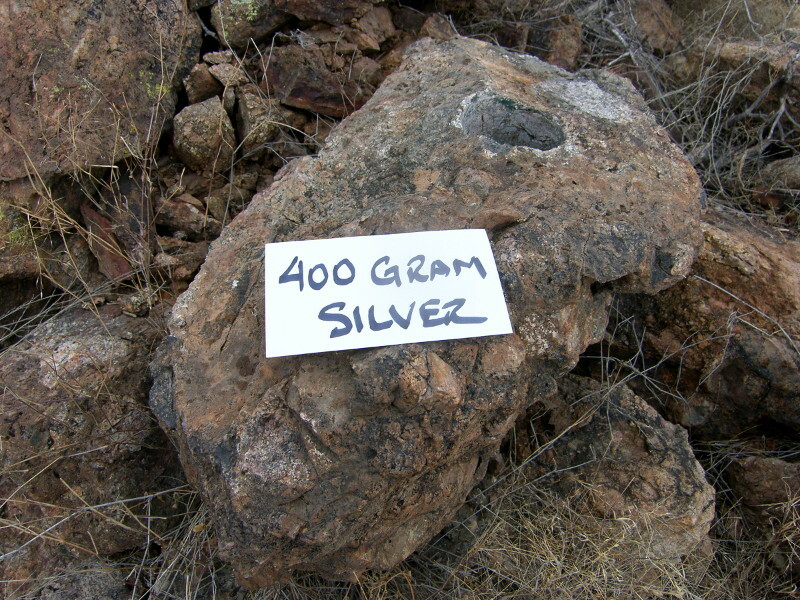 Adiditonal rock chip smpling will further assess the precious metal and general geochemical distribution of the silicife breccia where it is exposed in outcrop, especially in areas where it has not been sampled to date, including the silica stockwork and veining in adjacent and nearby mafic lavas. 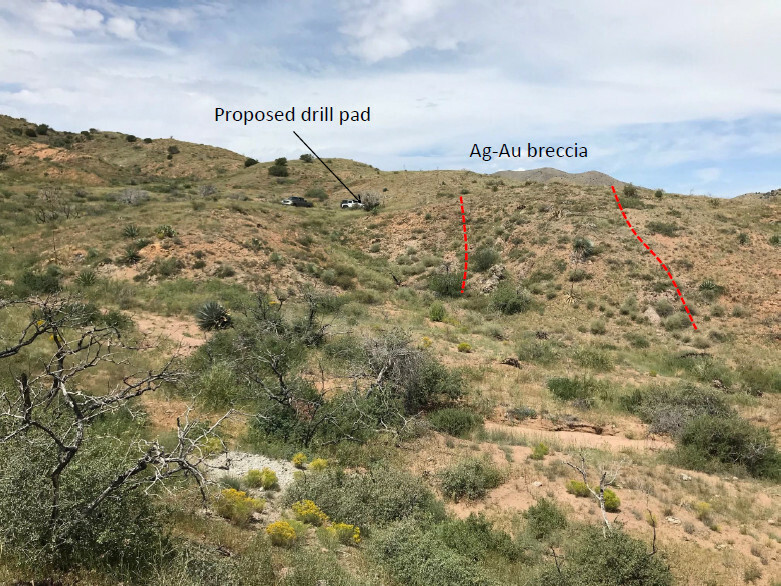 The results of the surface exploration will guide an initial drilling program to test the gold-silver bearing silicified breccia. 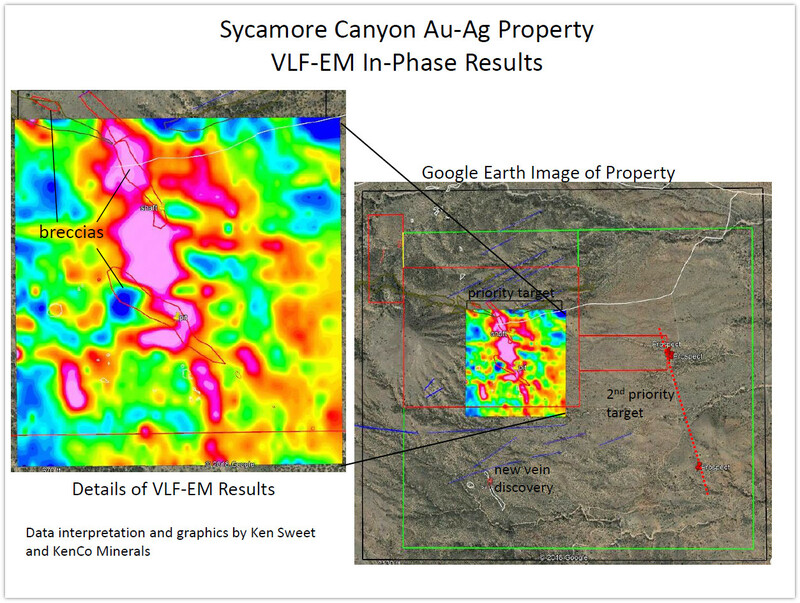 The target has not been drilled to date and the potential for a true “discovery” exists at the Sycamore Canyon property. 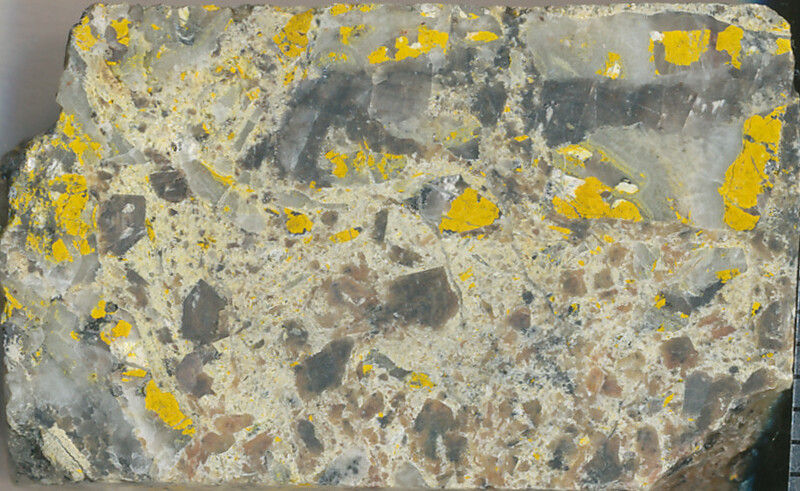 An initial eight-hole program is envisioned, with two holes across the silicified breccia on four initial sections. Terms of the Agreement The lease with option to purchase covers a five-year term, with lease/option payments beginning at US$10,000 annually and increasing incrementally over the term of the agreement, with a final payment of US$40,000 due on the fifth anniversary of the agreement to complete the buyout of the property for a total payment of US$100,000. 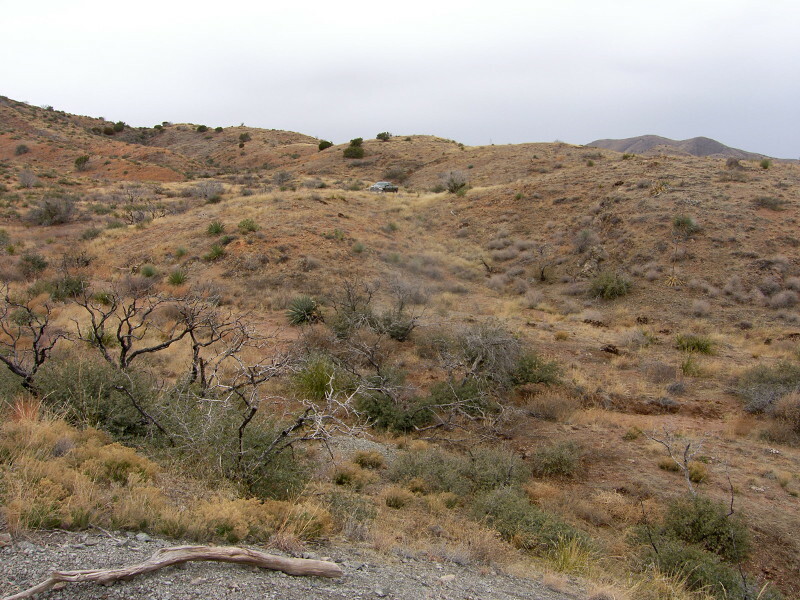 The owners retain a 2% NSR royalty on the property and all future production by the Company or its successors within a 1-mile perimeter around the core claim group. 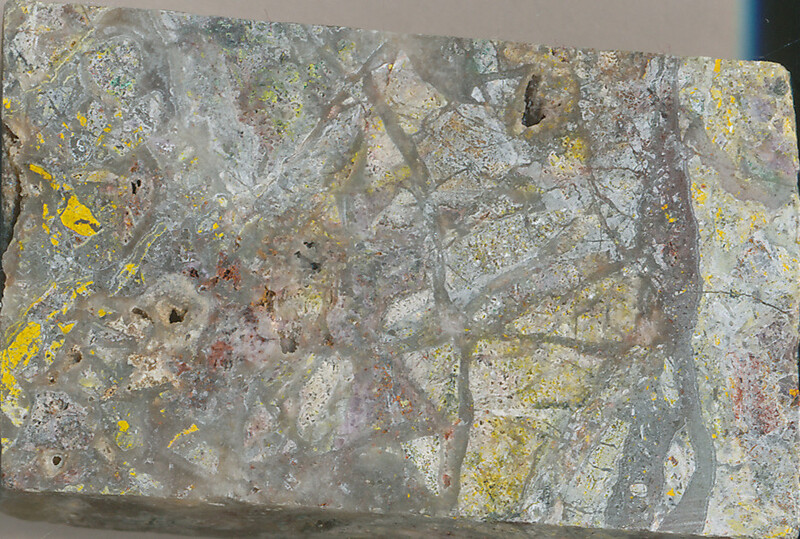 The Company has the further option to purchase half of the royalty for US$500,000, which would leave the underlying owners a residual 1% NSR royalty.